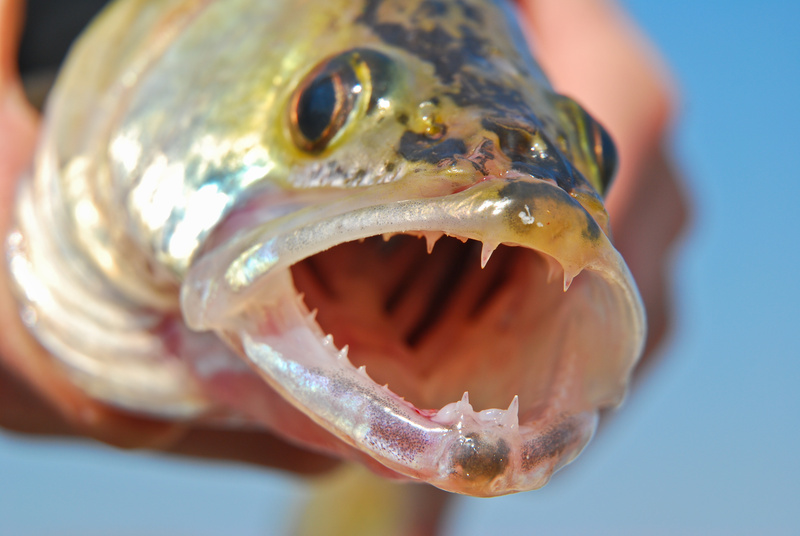 Saginaw Bay #WalleyeFishing slowed. Recent winds have stirred up the bay making the water murky and there were lots of floating weeds to foul up anglers’ lines. 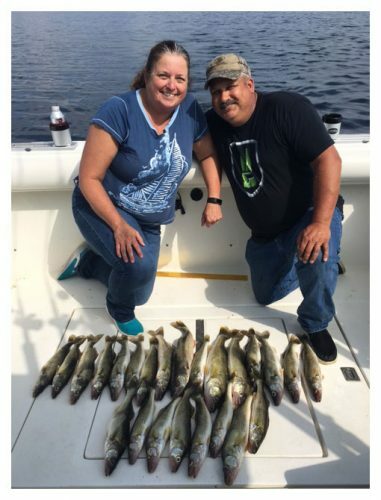 Fish were caught just south of Whites Beach along the Saganing Bar, straight off Pinconning along the Pinconning Bar, five miles east of the Spark Plug which is the shipping channel and in 8 to 10 feet on the Callahan Reef which is just east of Essexville. Some of the better catches were taken out of Quanicassee but not everyone took fish home. Perch fishing is just starting with fish taken in 18 feet off the Pinconning Bar. Catfish were caught on crawlers and shrimp in the Hot Ponds which are just east of the Saginaw River mouth. Just south of Sebewaing, those wading along the edge of the weeds off Fish Point caught largemouth bass with surface lures at sunset. From Caseville, a few walleye were caught off Oak Beach and Oak Point in 30 to 35 feet. Walleye are still being taken on crawler harnesses, assorted crankbaits, and spoons, but you have to find an active school of fish. Saginaw River: The lower river was producing the usual catfish, bass and freshwater drum for shore anglers at Smith Park. 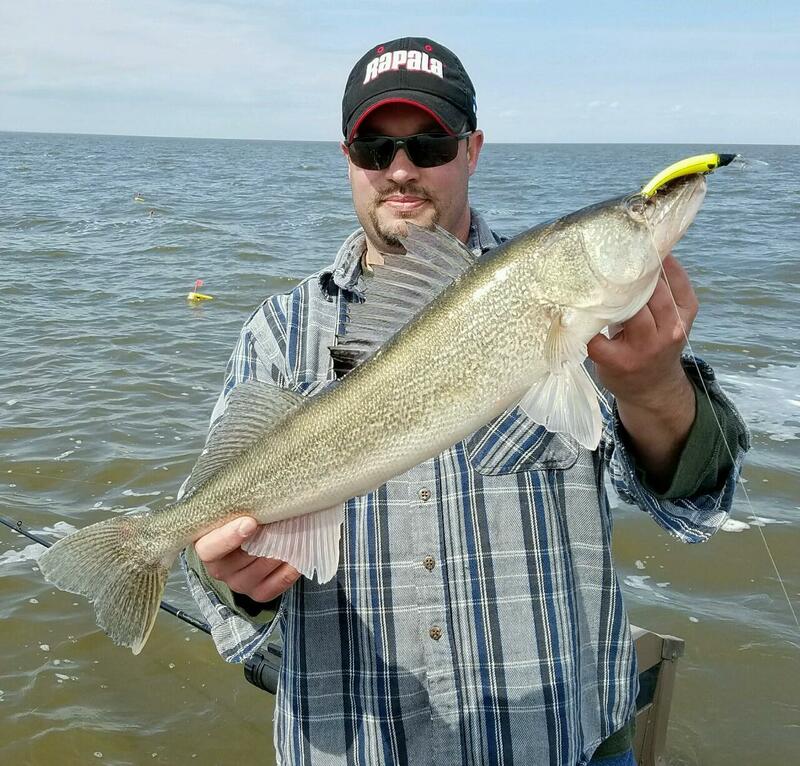 Au Gres Area #Walleyefishing was spotty with some caught in 35 feet straight off the mouth of the river or in 25 to 35 feet off Pointe Au Gres and around the weed beds off the mouth of the Pine River. Down off Sagatoo Road, perch anglers fishing at Eagle Bay Marina caught a decent number of fish in 15 to 25 feet. Oscoda lake trout were found in 110 to 180 feet. Some were on the bottom while others were about halfway down. Atlantic salmon, steelhead and a couple pink salmon were found in the top 60 feet. Try spoons, spin-glo’s and meat rigs. Pier anglers found good numbers of smallmouth bass and freshwater drum with crawlers near the bottom. Channel cats were caught on crawlers after dark. Au Sable River had good smallmouth bass fishing for those using spinners, soft plastics or crawlers. Freshwater drum, rock bass, bowfin and a couple channel cats were also caught. The walleye bite was slow but a few were taken when drifting crawlers on the bottom or with a slip bobber in the holes between the railroad trestle and the mouth. Tawas Area trollers caught a few walleye inside the bay off Jerry’s Marina when using a Lindy rig along the weed beds. Fish were also caught on spoons in 50 to 60 feet down near Alabaster. Pier fishing was slow. Tawas River shore anglers continue to find bass, catfish, carp and freshwater drum. Many anglers would agree there’s an excitement that comes when you’re using topwater techniques to target bass. There’s something to be said for seeing a bass strike your lure with your own two eyes. But how do you fish for this species on top of the water? It mostly comes down to location and lure selection. You may want to target areas that provide good cover for the bass that have a few feet of water over them, such as weedbeds, logs, big rocks, etc. Cast a floating lure next to the cover and play with a bit before reeling it in. When it comes to lures, select those that float and are designed to resemble the favorite foods of bass, such as frogs. 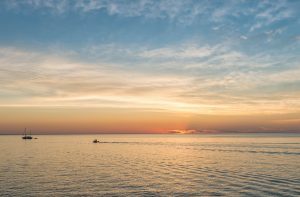 Also, top water fishing for bass works best in low-light conditions such as early in the morning or late in the evening. For more information on fishing for bass in Michigan, visit our Michigan Fish and How to Catch Them website.